Welcome to Rangermade’s page dedicated to the best small tactical backpacks, where we review a number of small tactical backpacks or daypacks up to 1700 cubic inches. 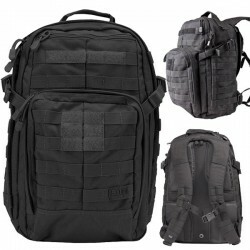 These are backpacks from the tactical class, meaning they offer military-grade builds and good organization of your gear. Virtually anyone can use these backpacks: from military personnel to fans of outdoor activities, and on to regular people or students. These can be used in the city as well as in the field, woods, bush or desert. They make perfect daypacks, bug-out bags, everyday-carry (EDC) bags, travel bags, school bags, you name it. They could also be very well used by teens and women. The last rage is solar backpacks, we haven’t forgotten about them. But we’ll do a future article exclusively about them. 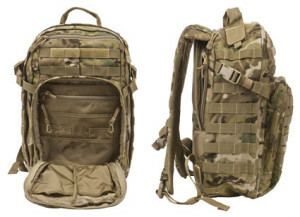 Below is a chart we compiled of a number of top-rated small tactical backpacks that we’ve chosen based on actual customer ratings and popularity. 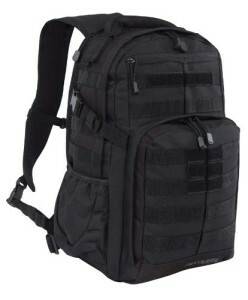 Out of these, we selected 5 backpacks that we included in a Top 5 of small tactical backpacks. Detailed reviews for these are found down the page. Without further ado, let’s head on to our chart. The 5.11 RUSH 12 is by far one of the most popular and highest rated backpacks in the small pack class, which is a good reason to make it number one in our Top 5 chart. Not only that, but we have used it ourselves and can vouch for the quality of materials and workmanship. Extremely sturdy and durable, with waterproof seams and very robust YKK zippers, you are sure to own this backpack for a long time. The main compartment is spacious enough to take the bulk of your gear. It will fit a laptop up to 13” in size among other things. There is a sleeve inside, but it’s too thin to protect the laptop, so you may want to get a proper sleeve separately. Also in the main compartment, there are a couple of zippered pockets, one of mesh and one of fabric, to help keep things organized. On the top there’s a fleece-lined pocket for your sensitive items like cellphone, GPS and sunglasses. The front pocket may be called an admin panel. It’s got a couple long vertical pockets on one side, and a number of stacked pockets on the other side, and two hooks for keys. There’s room to fit a good amount of items here overall. There is a pocket at the back for the hydration bladder, but if you don’t use one, you can fit for instance a rain jacket to have handy at all times, which will also give you additional padding for your back. Some owners claim they have fitted their 13” notebooks in the hydration pocket and keep books and other stuff in the main compartment, but we haven’t tried that and can’t vouch for it, but it may well work. 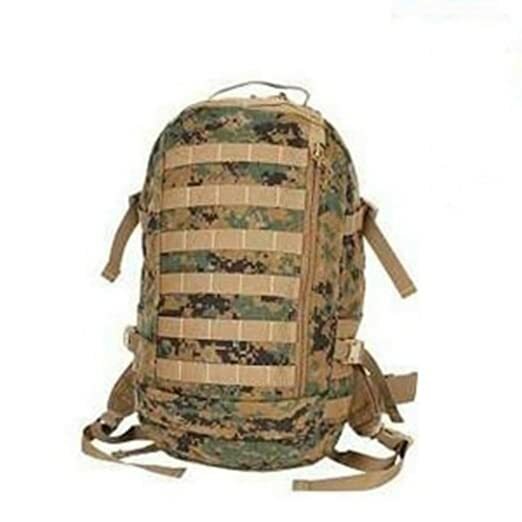 This backpack does not have a water bottle pocket, but you can attach one to the Molle expansions. See how other people use the RUSH 12. 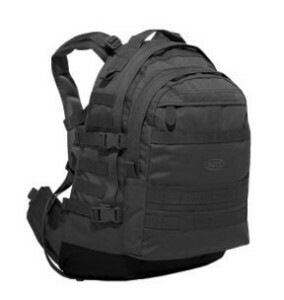 This backpack looks a lot like the 5.11 RUSH 12, but it is not just a cheap replica. It’s actually well built and is slightly differently organized as well. It’s got a large main compartment with zippered mesh pockets to hole the bulk of your gear. It also has a roomy secondary compartment with organizer. On the front it has the regular fleece-lined pocket at the top, and the larger accessory pocket. In the back there is also a hydration compartment for a 2-liter reservoir, with Velcro closures at left and right. The top handle and shoulder straps are well padded. Even when loaded, the straps will not dig into your shoulders. The sternum strap is adjustable up and down. There are water bottle holders on the sides, which will hold a 40 oz. bottle. Other highlights would be that there’s a good amount of solid Molle webbing, and the stitching is good everywhere. The bag is comfortable to wear, and there’s good mesh cushioning on the back for perspiration breathing. Given the price, the Alpha OPS Daypack exceeded our expectations. This backpack is, hands down, one of the best bangs for the buck in this class. This is a new entry in our top 5, but it’s a worthy addition. Besides good quality, it looks rather stylish, and we got a lot of compliments wearing it. That makes it a great city EDC bag, and would be a bit of a pity to be torn and worn in the woods, although it can do a good job there as well. It is a bit larger than most of the bags we’re reviewing here, but not as large. 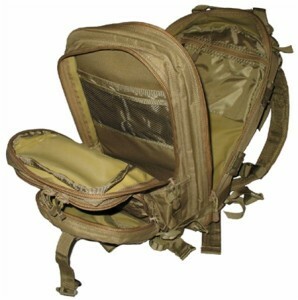 It features two main compartments with two utility purpose side pockets. The main compartment has plenty of room inside, and an inner pocket for optional carry of a hydration system of up to 3 liters. The zippers and seams are very strong, not the kind that falls apart if you drop the backpack. The bottom is rubberized for extra durability, and the shoulder straps plenty of padding to make them actually comfortable. It’s got Molle webbing on the front and sides, not as much as in other backpacks we reviewed here, so it’s definitely not for those who like to hang a lot of gear around their packs. The Jar Head comes in Black and Camel Tan color (see colors), and did we already say this? It’s a really pretty backpack! 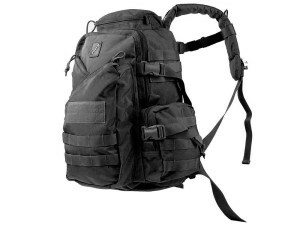 This is another backpack that’s very well constructed, with rugged quality materials. It’s got a somewhat different distribution from the rest, with a main compartment and a large pocket taking up the whole front, with the lined top pocket being built into the top of this larger pocket. It’s got military-grade zippers with zipper guards, PALS webbing on the front and sides, sturdy top handle, and rubberized bottom for non-slip operation. It has thickly padded shoulder straps with adjustable harness for good weight-tension distribution. It’s also using a custom-molded back panel and shoulder straps for increased comfort. This small tactical backpack from Boyt Harness has got what it takes to be called a rugged daypack for short missions, either in the field or in the city. 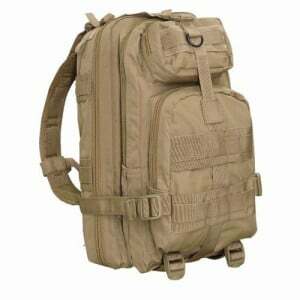 This is another of the highly popular small tactical packs. While less expensive than the Rush 12, this sturdy contender has a lot to offer. It’s got good materials and a good set-up. There’s one main compartment, a middle compartment and two front pockets that offer plenty of organization with inner pockets and sleeves. When loaded, the compression straps do a good job pressing it in to not allow the gear move inside. This is especially helpful when hunting in the woods. The waist straps are removable to make it a better fit for everyday use. The pack will fit a 13” laptop without trouble, and some users say it can even gulp a 15 incher. The Condor Compact Assault Pack makes for a great hiking, EDC or bug-out bag. It is good value for the money, and then more.